A large brewery required a mobile & versatile pump that could be used around the plant for various duties. The pump needed to be self-priming, able to dry run, be air powered, able to dead head and be able to speed controlled easily. 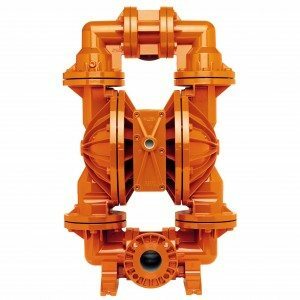 Pump & Valve sold a 2” Wilden AOD pump in Food Grade construction. This all stainless steel pump fitted the bill perfectly as it could dry run, self-prime, dead head, easily speed controller and furthermore had a gentle pumping action. Pump & Valve also mounted the pump on a stainless steel base with castor wheels so that it could be moved around easily. Previous post Jabsco Hygienic Lobe Pump Next post Odour Filter Eliminates Smells!